At some point during my early guitar days, I had to play something else for a change. So I put aside my beginner guitar and got my self (you guessed it) – a shiny new drum kit. It had to be affordable, but it also had to satisfy my taste for a punchy drum sound. So I read around quite a bit, found very little advice that was actually useful and finally decided to go with the Ludwig Pocket Kit. 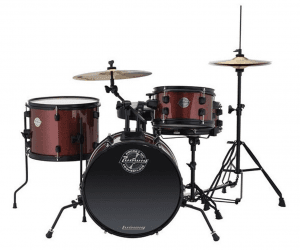 At the time I was everything but sure about my purchase and asked myself if this kit would give me the punchy sound I desired – and if I would be able to set it up at all. Will you get everything you need to start playing along with the Ludwig Pocket? Is it hard to set this thing up? 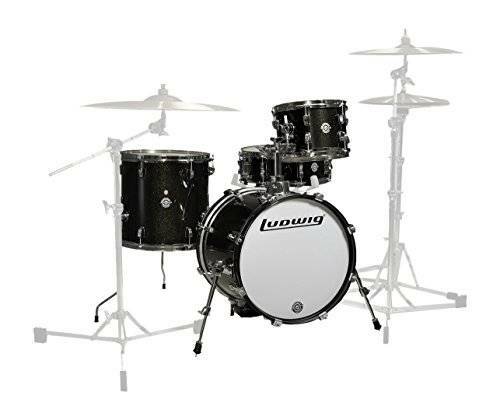 And wouldn’t Questlove’s other kit – the Ludwig Breakbeats – be a better fit for me? Again, there will be more – and if this more still leaves a question open, you’re more than welcome to drop your question in the comment – and I will get right back to you! What if you went for the Ludwig pocket kit today, what should you expect? Quite honestly, it has all you need in one box. I also like that this kit is so affordable while being made by Hip-Hop and Soul legend Questlove himself. It is the perfect size, good enough to fit modern standard sized apartments or even gigging clubs. It came in a box weighing about 62 pounds, which I found not as heavy. Its measurements were 24 x 24 x 22.2 inches. In this Ludwig Pocket Kit review, I will be completely honest. First of all, once I got it, I was impressed! I found it easy to employ the conventional mounting procedures, which makes it an effortless task for a beginner. It just took me a few hours to have it all ready to go. Plus: with some dedicated fine-tuning, the kit sounds incredible. It is what makes you feel the effort is all worth it. But, just in case you find setting up a little bit challenging, don’t feel left out. It comes with included web-based lessons to assist you with the key setup. I am talking about a dedicated six-part introductory video course covering everything you ever wanted to know as a newbie: from basic set-up to the tuning of your basic beats. This includes playing techniques and regular adjustments to keep you a step ahead of the game. 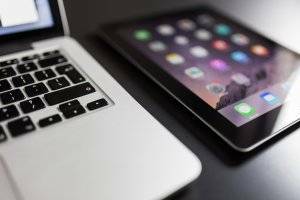 You can view the lessons on your computer or even a tablet. 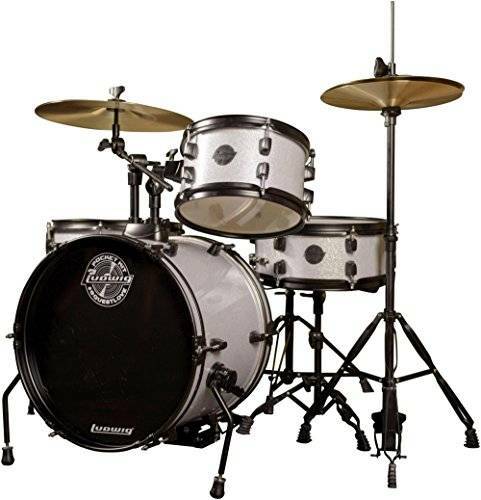 Notably, the choice of our color for the Ludwig Pocket Kit, “Silver Sparkle,” is something worth to keep your audience’s eyes glued on stage during your performance. But if this doesn’t settle well with your taste, no need to worry. It is also available in Red Wine, Black, and White. Remarkably, it delivers way above the common standards when it comes to its multiple, high-quality wrap finishes. Remember, this is a quality hardwood body construction, but the material is steel. This makes it a kit worthy of the amount you’re spending for your future career. So, does it meet the sturdiness you are looking for? The Ludwig pocket kit doesn’t struggle to impress when it comes to this. Even all its rods and screws are crafted to appear simple but boast a long-lasting aluminum finish. Simply put, whit this outstanding kit, you are looking at all the 14 pieces of hardware in one package, including pedals, the cymbals, and all other accessories to get you grooving. After going through this Ludwig Pocket Kit review, you might see that this kit will give you exactly the starter experience you are looking for. If you are looking for a kit that arrives complete at your doorstep, is easy to assemble, easily tunable, and can be used by all members of your family, then you really have to check out this kit. With the Ludwig Pocket Kit, you can assure a future with a thrilling drumming experience that suits your creativity. You can adjust the ride cymbal to face away from your bass drum as you play. Additionally, you are able to cost-cut on a single-way stand and balance the weight perfectly in your set up. The drum heads did me a little bit of a disservice when it comes to fitting into the shells. The cymbals used don’t meet the quality I had anticipated, but given its standard price plus other accessories I the package, I was satisfied. The Ludwig/Questlove badge lasted about a year before it started peeling off. This should be fixed to avoid giving away the price tag. The feet could do with a more stable and creative look. 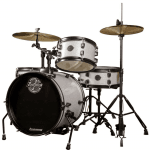 Does the Ludwig pocket kit come with a bass drum riser to assist in raising it up to a suitable beater height, especially for an adult bass drum pedal? I don’t think this should be a problem. You can use the pedal without any challenge because it doesn’t have a drum riser. Do I expect this drum kit to come with a throne? If I buy this kit, can it be a great drumming set for my 10- year-old son? Most of the videos I have checked out on YouTube so far, I don’t come across young ones doing the demos. When I bought my set, I used to play with my 9-year-old son often. Questlove designed this drum kit based on young ones’ height and skill. The Ludwig Pocket Kit is perfect for kids from 4-10 years of age. However, there might be some who don’t like this kit or maybe the color options provided. Maybe you are looking for a kit that is more for adults but still compact. Then, you can check out the Ludwig Breakbeats. 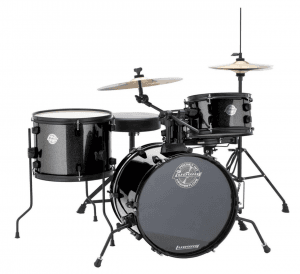 I find the Breakbeats a perfect choice for the adults who are stepping up into the drum scene and music industry, compared to the Ludwig Pocket Kit. The Breakbeats is a bit pricier than the Pocket Kit, considering that it doesn’t come with cymbals and cymbal stands, but it is worth its top-quality sound. This may be a pro or a con, depending on your skill level. Some prefer getting a kit with no cymbals so that they can customize their kit even further to suit their personal style. Even with my personal preference, I can say that for this Ludwig Pocket Kit review, the Breakbeats is a great alternative. With the size and the price… newbies and professionals, young and old, can all be part of the fun. If you are looking for a junior drumming kit, step into the Breakbeats for a treat of a lifetime. If you are interested in the alternative product, you can check out my detailed an complete review of the Breakbeats through this link. Please also check out what Miko had to say after a few months of using the Ludwig pocket. I found playing with the kit really enjoyable. And at the same time, my little son had a blast as well! At times he could try a few tap styles here and there easily. This kit was actually developed by ‘Questlove’ in a smart and thoughtful way to help your 4-10 year-old get inspired and start their music journey. It is true that it had young kids in mind when it was designed, but the older age groups can surely bust out some heavy beats on it too! This is why I made this Ludwig Pocket Kit review. I wanted everyone to know that this handsome kit is not “just for kids” because anybody can play on it as well. Having been a victim of a lackluster drumming kit, the Ludwig Pocket Kit not only got me grooving back into music with a bang, but also helped me gain a wide-range of skills in drumming. I love this kit specifically because it is easy to work with even if drumming isn’t your thing. And when you finally realize that drumming is your thing, you will find the kit easy to carry around from gig to gig. Did this Ludwig Pocket Kit review leave any questions open? Or have you played the kit and would like to share what you think of it? Please do let me know in the comments! Thanks for the review! I’m a guitarist for more than 20 years. Now I had a daughter who’s musically talented. Bought her keyboard. Then, bought her Hofner Bass guitar. Since both of us are a Beatles fan. Now, wanted to buy drums for our mini studio. Was thinking of buying a cheap adult size drums just for practicing. But was inspired by our band drummer’s Sonor’s jungle Kit. But with very limited budget. As you know, Jungle kits are quite expensive. I saw the Ludwig Pocket Kit at one of our local store. It a silver sparkle 16″ bass drum! I thought, it was a jungle kit. But the Sales Rep, discouraged me, saying “the kit was made for kids”. After months of searching. watching YouTube review. Did asked some of my drummer friends. And read your review. Finally, decided to buy the Ludwig Pocket Kit Silver Sparkle. And it did not disappoint! Love the shells, the hardware and the tone! I compared it to some of the cheap adult size drums. The tone of this Pocket Kit is way, much better. I mean a huge better. The hardwares are sturdy. The Cymbals i don’t like. But of course, it’s understandable. You paid most of it for the shells and hardware. And a big YES! This is a Porta Kit not only for kids but also for adults! The Ludwig Jr. is exclusive for kids. But this Pocket Kit is also for adults. If you want a cheap but good sounding, high-material Jungle Kit. This the the Kit-to-Go! Awesome, Miko! I’m happy you and your daughter like the kit and thank you very much for sharing your experience. I’ve linked to your comment from within the review.